Starting in August 2017, every child in Northwest Kansas, from infancy to age five, is eligible to receive a free book each month through Dolly Parton’s Imagination Library program. There is no cost for families to participate in this program as the Dane G. Hansen Foundation has provided funding locally for the 26 counties they support in Northwest Kansas. The Greater Northwest Kansas Community Foundation administers this program for Cheyenne County. The goal and vision of this library program is for all preschoolers to be ready for kindergarten with reading readiness skills, books in the home, and a love of reading. All that is required for a child to receive the age-appropriate monthly book delivery is to have a parent enroll them into the program with a valid mailing address in a county which has an active program. Online enrollment is available below or you may find enrollment forms at various locations in the community including the clinics, hospital, libraries, or city offices. The books will generally be mailed out the third week of each month. It is important for parents to keep the Imagination Library updated with any address changes to ensure books continue to be delivered until their child reaches the age of five. To find out if this program is available where you live, complete the registration information below. To print a registration form to mail in, click HERE. Return the completed form to: GNWKCF, Attn: Imagination Library, 105 W 4th Street, P.O. Box 593, Bird City, KS 67731. 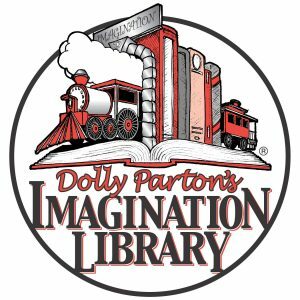 Dolly Parton and the Dollywood Foundation started Imagination Library in 1995 for the children of her home town of Sevier Tennessee. Her goal was to encourage a love of reading among local preschool children and their families with the gift of a new book each month. By 2000, the program had become so popular that Parton announced she would make the program available to any community that was willing to partner with her to support it. Since the initial launch in 1995, over 60 million books have been mailed to children in the United States, Canada, and the United Kingdom. A committee of professionals from the fields of education, child development, academia, and early childhood literacy are convened by the Dollywood Foundation to select the books for Imagination Library. The Little Engine That Could™ is the first book in each library. A children’s classic, the book is the inspiration for program’s “Imagination Express” logo and its infamous mantra — “I think I can. I think I can. I think I can.” encouraging children to dream and achieve. For more information on either grant opportunity, contact the Greater Northwest Community Foundation at 785-734-2406 or by sending an email to info@gnwkcf.org.